Dogs need to run around and get exercise and Silloth has lots of green, open spaces loved by dogs and their owners. Silloth’s green spaces and parks are for the whole community; here are a few tips for dog owners to make sure that everyone can enjoy them. 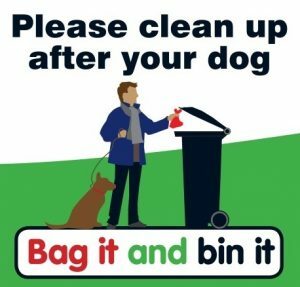 Dog mess left in parks is unhygienic, unpleasant for other park users, and can be dangerous for children who might pick it up without knowing it is bad for them. The vast majority of owners responsibly clean up after their dogs and we want to work with them to challenge the unacceptable behaviour of those who do not. Failure to clean up after your dog is an offence under the Clean Neighbourhoods and Environment Act 2005. You could face a fixed penalty of £80 or prosecution if you fail to pick up after your dog. Dog mess should be placed in a sealed bag and deposited in any park litter bin or at home. Prosecution for the offence carries a maximum fine of £1,000, plus costs upon conviction. You can report offenders at https://www.allerdale.gov.uk/en/report/report-dog-mess/ or phone 0303 123 1702. You can also download the ‘myAllerdale’ app to report it. We know the vast majority of dog owners in town are responsible. However, feedback from residents and park users has revealed that they are concerned by dogs off their leads, aggressive dogs and dogs in children’s play areas. For more information:- https://www.gov.uk/control-dog-public. Dog attacks can be very distressing. 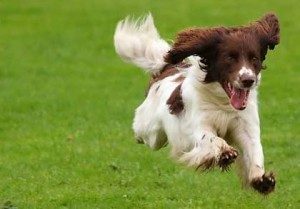 If a dog has attacked somebody, or puts a person in genuine fear for their safety, this should be reported to the police on 101.
allow your dog to damage shrubs and plants in the various flowerbeds and gardens on the Green. Volunteers spend many hours caring for the gardens for everyone’s enjoyment and it is very disheartening to find plants damaged or dug up. Training a dog can be very rewarding and spending time with your dog is much more fun if he always comes back when called and doesn’t pull on the lead. You can get advice about dog training from your vet and animal welfare organisations. Allowing your dog to damage property, including trees, shrubs and children’s play equipment, is a criminal offence and may be subject to prosecution. 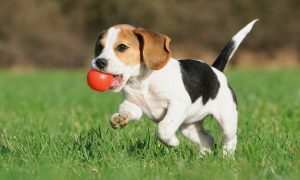 You should use specially-made dog toys for training and play, to avoid serious injuries and to prevent your dog from damaging property. If you see a dog damaging property please contact the Police on 101 for non-urgent matters. As a dog owner, it is your responsibility to look after your dog and make sure it doesn’t stray. Your dog must wear a tag by law when out in a public place. If you see a stray dog, you can report it at https://www.allerdale.gov.uk/en/report/report-stray-dog or phone 0303 123 1702. You can also download the ‘myAllerdale’ app to report it.